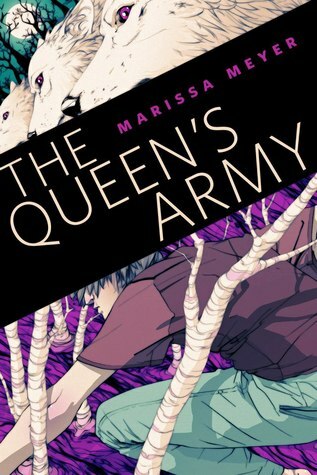 The Queen's Army is one of two good e-novellas out there, the other being Roar and Liv by Veronica Rossi. While I am always exceedingly curious to pick up novellas, I tend to find that they are massive disappointments, focusing on unrelated aspects of the plot or simply written poorly. Whatever the case may be, I have more or less sworn off of YA Novellas. In Marissa Meyer's case, though, I'll be making an exception. The Queen's Army was short, but sufficient enough to give the reader new - and deeper - insight into the world Meyer has created and by the end of it, you'll be itching for more of her writing for sure. Z is a twelve-year-old Lunar when he is recruited by the Queen to serve in her army. After being forced away from his family, he undergoes surgery, emerging as a human boy with wolf instincts - sharp smell, heightened hearing, better vision, and, of course, canines. Now, in the army, Z has only one goal in mind - to be strong enough, fast enough, and good enough that his Queen doesn't see fit to turn him into the pro-type for future soldiers - one that is more beast than man. With The Queen's Army, Marissa Meyer cleverly shows us a chink in the seemingly perfect plans of Queen Levana. As a villain, she is formidable, intelligent, and cunning, but she also cannot always control everyone and everything. Although the wolf-human soldiers she creates are bound to the will of their leaders, the struggle Meyer has shown is one that is shockingly easy to feel for. Z lives on in the hope that he will remain the half-mutated boy he currently is, fearful of his beast tendencies and despising the thought that he may have fur in the future if he doesn't prove himself good enough. It is this drive that makes Z such an endearing character. Unlike the others, Z isn't utterly fixated upon serving his Queen, but rather keeping his humanity. When you're turned into a beast, how far can you go to preserve the moral standards that you once retained as a human? Although I read The Queen's Army after Scarlet, I do not entirely think it makes much of a difference when you read this short story. While it does, quite obviously, give away a plot twist in Meyer's sophomore novel, many of my friends have enjoyed Scarlet just as much - if not more - than I have despite it. In fact, this short e-novella gives the reader a deeper insight into one of Meyer's new characters. Without this background knowledge, though, the reader is transported directly into Scarlet's head and she discovers her new companion, along with any betrayals that may come her way. While I thoroughly enjoyed the plot twists that I was able to experience as a result of not having read this novel before Scarlet, I do think it'll make for a more enriched, although predictable, reading experience. Either way, the point remains that this e-novella is a must-read for fans of Marissa Meyer and the Lunar Chronicles. It takes up only fifteen minutes of your time, but manages to make you think, question, and fall in love with an original character. If that isn't worth reading for, then I don't know what is. You can check out my review of Cinder, the first book in this series HERE and my review of Scarlet, the second book in this series HERE. I always end up disappointed in novellas too, but I DID adore Roar and Liv so I would most likely enjoy this as well. However, to be entirely honest, I'm listening to Cinder right now and as hard as I try, I just can't force myself to like it. It's not even bad: it's well-written and the characters are surprisingly interesting, but overall, it lacks something I have no name for. Soul, maybe? I'm just not feeling it. OMG I really need to read Roar and Liv, don't I?! Especially if you're listing it one of the two you approve of. (You still dig adult novellas like the Kate Daniels ones though, right? Okay cool, thx. :P) And yeah, like you said, I feel like it could go either way with when you read this story. I already knew how much I liked Z when I met him in Scarlet. So glad you enjoyed this one though, Keertana! 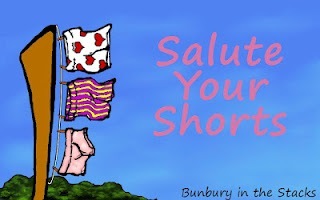 And love you for the Salute Your Shorts goodness. Reading your reviews is going to leave me bankrupt lol. This is a wonderful review Keertana. I think one of the best aspects of Cinder was Queen Levana. She was a great villain. I might actually have to pick up Scarlet sometime! Wonderful Review! Oh wow! I didn't even realise this novella existed and I love this series! Thank you so much for bringing it to my attention I really love Levana as a villain! I really enjoyed this one, too! I have a funny relationship with shorts and novellas in general (very few appeal to me, unless they're a part of a series I enjoy), but this one worked better than I expected it too. Great review, Keertana! I totally agree, this novella truly hooked me! I read it before Scarlet and I'm glad I did, because I was hesitant about that book. This brought up my excitement level a lot. I loved reading about Z and as you said, also finding more about The Queen's Army, and a glimpse at her. I am eager to see her brought down, and despite the strength of her soldiers - she can't perfectly control them. This is a really great analysis. I also agree to having mixed feelings about the novella in general. I tend to read them, because I don't want to miss anything. However, if they deal with random side characters or backstory that doesn't really matter, I will avoid them. I loved this novella! I read it prior to reading Scarlet and am glad that I did. One of my big questions with this series has always been about the Lunars. I want more info on them and Cinder provided so little. So reading this and getting that added insight was just what I was hoping for. I loved starting Scarlet already knowing a little about the soldiers and their methods as well as the history behind the strained relationship between Wolf and his brother.